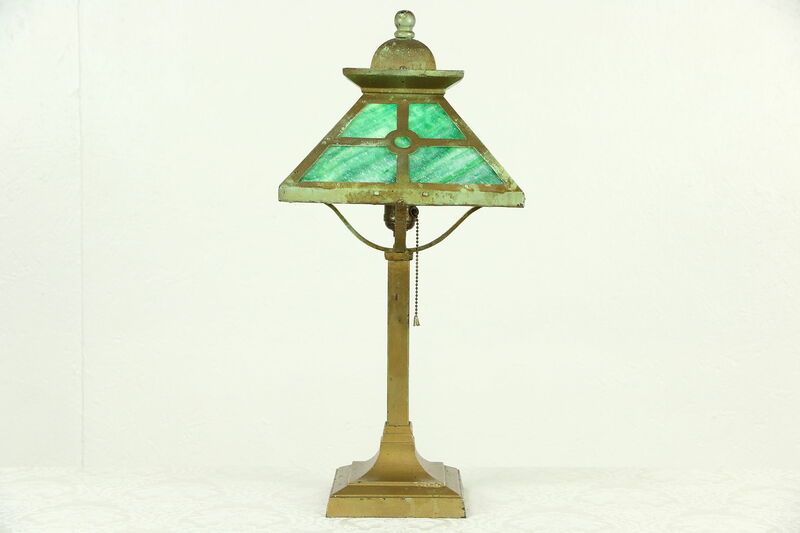 A table lamp has a stained glass shade and dates from about 1910. The wrought iron frame has an old distressed green to gold finish. A standard base socket with a pull chain switch has been rewired on this antique American made lighting. Size is 10 1/2" square and 23" tall.